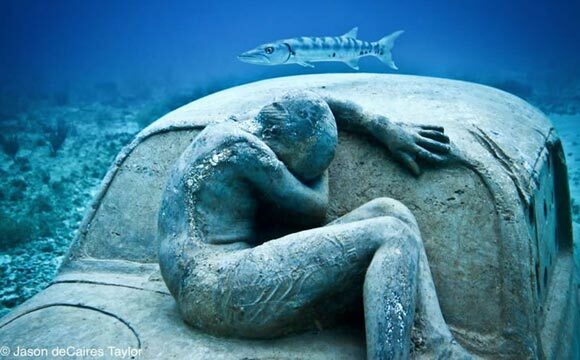 I have been working on an exciting project to create a series of underwater sculpture installations at various locations around the BVI, to be viewed by both scuba divers and snorkelers. 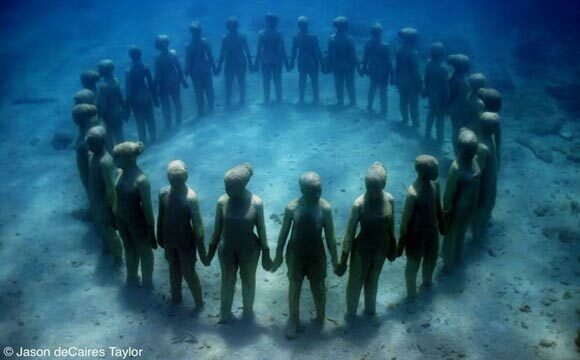 The idea came to me whilst viewing the stunning work of world renowned underwater sculptor Jason deCaires Taylor, who was the first person to create an underwater sculpture park in Grenada in 2006. I have been in touch with him and his response has been extremely positive and he is keen to help the BVI develop this unusual type of marine tourist attraction. The project has a range of benefits for the BVI such as enhancing its appeal as a premier diving and snorkeling destination. 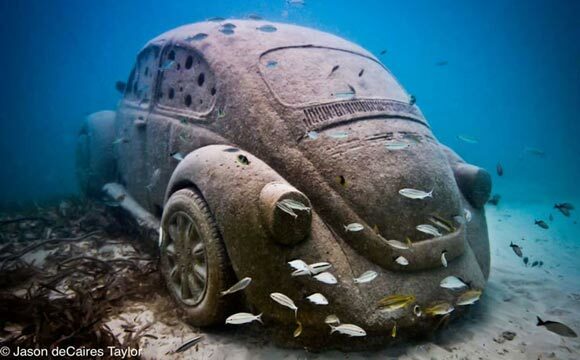 Importantly it was also have major environmental benefits as the underwater concrete sculptures will act as man made reefs, attracting new coral growth and fish habitats. The economic benefits will also be significant with worldwide media attention bringing additional visitors to the BVI. 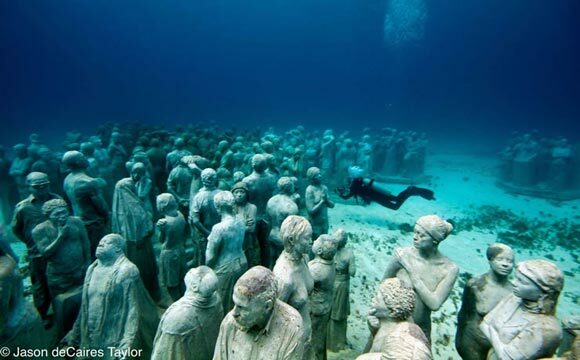 For example, Jason deCaires Taylor’s Mexican project attracting an estimated 750,000 visitors per year.